Passed our city airport on my way home on a particularly misty night, and decided it was worthy of grabbing my gear and going back out. Standing my SUV roof + tripod to clear the security fence in some of these Was good fun, but really bitterly cold. This was shot shortly before the security guys did a driveby on me, a C17 Globemaster as part of the US Antarctic Program. A new business park is being created, and before it fills up you can get some pretty cool negative space images. Cool! 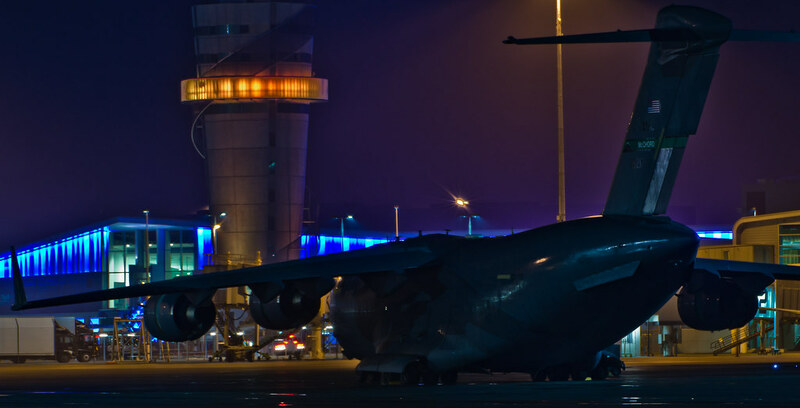 Love the C17 shot.